This class is full. A waitlist is available. 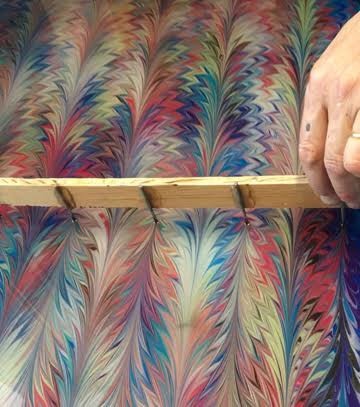 January 14th will involve hands on experience of all aspects of western marbling technique from the priming of paper to the preparatory mixing of water medium and paint, to the creation of classical and spontaneous patterns. Specific attention will be given to learning how to obtain classical designs using a diverse array of rakes and combs. 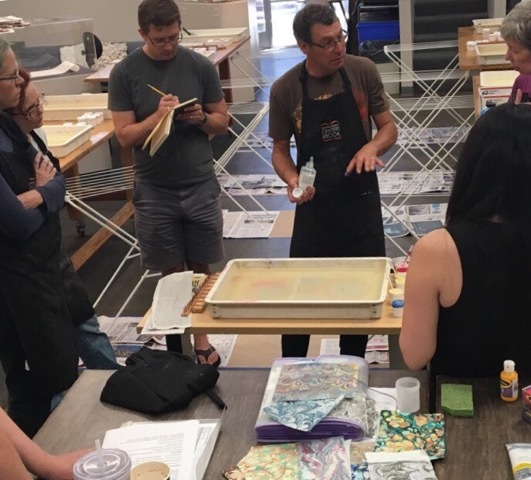 Students will have ample time for experimentation with guidance from the instructors and will create a sampling of 15 sheets of paper.